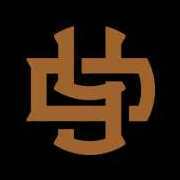 Basketball History, 1970's Sports, Phoenix Suns, Arizona Diamondbacks, Phoenix Coyotes, Arizona Cardinals. I would take just about anybody's over the current Diamondbacks' look! I can only remember the Royals era from the 70's, but if I could have remembered the Kansas City to NY Yankees pipeline of the 1950's I'm sure I would have seen those mid-70's Royals-Yankees playoff series in a different light. I do remember the tail end of the dominant Chiefs teams (who can forget Ed Podolak's Christmas playoff game against the Dolphins?) but the Kings were pretty mediocre with the exception of a couple of years under Cotton Fitzsimmons. Because they led the way for the rainbow of color that was 1970s baseball. The Diamondbacks and Cardinals I will agree with you on. The Suns' uniforms aren't the best they've had, but they're a step up from the last couple of sets. Finley was sort of a mad genius. He built those terrific A's teams pretty much on his own, but his hubris and the changing times made his empire crumble. Orange baseballs, designated pinchrunners, brightly-colored uniforms, the mule for a mascot, white shoes..... there will never be another one quite like him. Loved the navy blue version, I would love to see something like that with a more traditional collar. KFC, Taco Bell or Pizza Hut for Kentucky since Yum! Foods is in Louisville. The only newer uniforms everybody should hate are the Diamondbacks. Diamondbacks fan since day 1 - Purple & turquoise is the way to go! 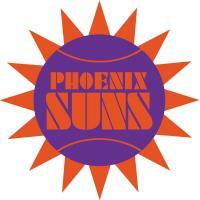 The Suns original logo might qualify. It only survived their original press conference to reveal the team name.